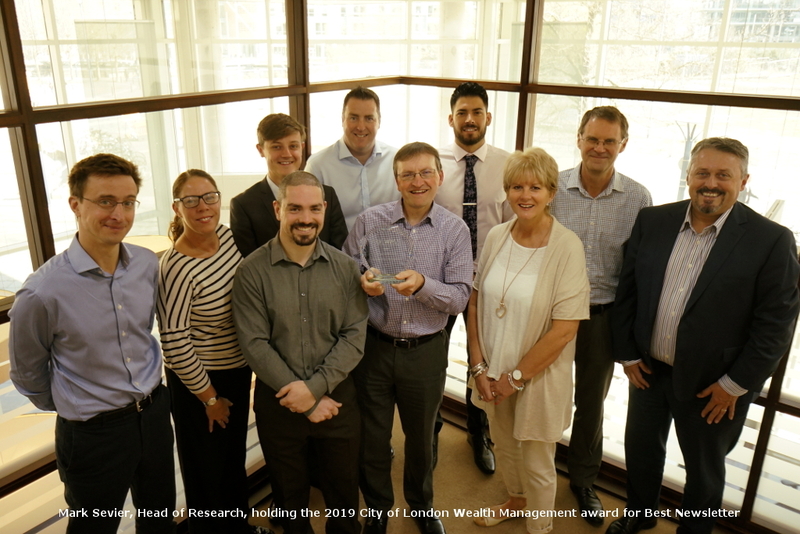 City of London Wealth Management Awards 2019 – Winner! 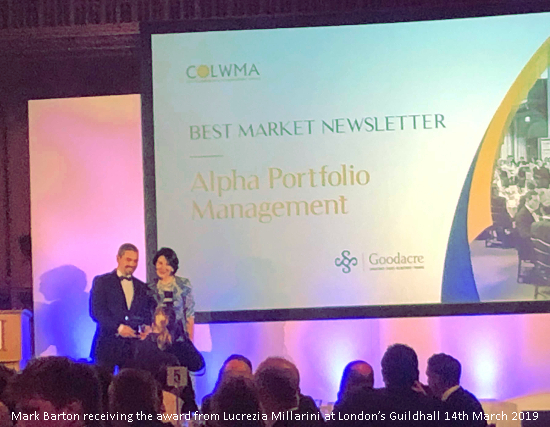 We are absolutely delighted and proud to announce that Alpha Portfolio Management has won Best Market Newsletter for its weekly investment newsletter Alpha Bites. The prestigious City of London Wealth Management Awards (COLWMA) recognise, promote and celebrate quality of service from Wealth Management companies and individuals. Winners of the company awards are determined by an online, public vote which takes place over a two-week period which also includes nominations for individual winners. This year there were a record-breaking 30,000+ votes cast for the COLWMA Company Awards. We are extremely proud that our weekly newsletter, Alpha Bites has been recognised by our readers. We would like to think it’s useful and informative. We take great pride in producing it and we hope its slightly quirky point of view is appreciated. Written by Mark Sevier, Head of Research at Alpha, we hope our readers enjoy reading Alpha Bites as much as we like producing them. To sign up to Alpha Bites, use the form on this page. Thank you to all who cast their votes for us! Alpha Portfolio Management (Alpha) specialises in providing discretionary portfolio management to clients of financial advisers. Alpha offers two key investment services, namely the Managed Portfolio Service and Bespoke Portfolio Service. The minimum investment for the Managed Portfolio Service starts at £20,000, with bespoke portfolios managed from £100,000. Both services are cost and risk conscious investment propositions drawing on the team’s expertise in investment vehicles ranging from direct equities and bonds to collectives. The Alpha team have a successful track record of working with financial advisers and their clients for over 20 years. Members of the Alpha team have previously been acknowledged for investment performance and their breadth and depth of service.